Beating the clock is a common pharmacy problem in providing a quality dispensing service. Unfortunately, fast dispensing is a consumer "want" rather than a "need" and that creates a real problem for pharmacists in respect of patient safety - even when automation is utilised. 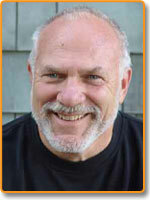 There are many time issues in health generally and this article shines light on a few of them. Sixty years ago, I enjoyed the popular ABC black-and-white television game show Beat the Clock. 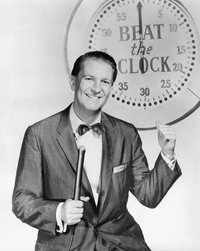 “America’s number one clock watcher” and host, Bud Collyer, gave contestants simple, fun assignments. On another, a guy had to tie a necktie in under a minute. Hey, there wasn’t much to do back then. Television programming has come a long way. Twenty-four years ago, I stumbled into what turned out to be a meaningful “assignment” of advocating for the use of medication safety technology. Though we’ve come a long way, we have plenty of clock to beat, and it’s anything but a game. For example, do you remember when ten years ago (2006) we experienced a two-year run on preventable heparin errors in Hollywood, Indianapolis, and Corpus Cristi, Texas, respectively? All said and done, twenty-six infants were endangered, harmed, or killed. In each instance, caregivers administered a blood-thinner to infants that was 1,000-times stronger than it was supposed to be. The first and best known of the little ones harmed were Dennis Quaid’s twins, which I wrote about here. Fortunately, caregivers identified the errors and took appropriate measures quickly enough to beat the clock. Zoe and Boone were spared, along with another little patient. Thank God. Within a year (2007), six unnamed but no less precious children in Indianapolis were victims of virtually the same error, only this time the clock won and three of the infants died. In both hospitals, fine hospitals, I must add, drug pockets in automated dispensing cabinets (ADC), designated for storing infant doses of Hep-Lock, were mistakenly loaded with sound-and-look-alike adult doses of heparin. Using either of two available medication-safety technologies could have prevented harm and saved lives. First, when filling ADCs, technicians could have used bar-code scanning to match the right drugs with the right storage compartments. Second, technicians could have employed bar-code medication administration (BCMA) systems to scan syringe labels and patient wristbands for matches, warning nurses before they administered wrong drugs or doses. The third heparin episode happened in Corpus Cristi, before another year lapsed (2008), harming another seventeen babies, two of whom were lost to the clock. This time the errors occurred upstream in the clean room. Reviewing the events revealed that technicians had added the wrong strength of heparin when preparing a batch of “pediatric-strength flush syringes” in the pharmacy. When dispensing or administering, nurses’ eyes did not and could not have detected the errors. Caregivers understandably trusted what unfortunately turned out to be untrustworthy labels. Neither scanning at the point of cabinet filling or during medication administration could have detected or prevented these errors. However, a third technology, bar-code-enabled medication preparation (BCMP), could have protected the Texas babies and their caregivers—ensuring the right product selection at each step of the dose-preparation process. In the mid 90s, scan-to-stock functionality was the first of the three technologies to appear. Today more than 90 percent of hospitals utilize ADCs for drug dispensing. In my experience, while the majority of hospitals scan to fill, many continue to skip scanning in the interest of time. No excuse satisfies me. On occasion, the Joint Commission has been known to slap the wrists of hospitals that do not use verification scanning when filling cabinets—as I believe they should all the time. The vast majority of hospitals, representing over 90 percent of in-patient beds, are now scanning most patients and medications before administrations. It took us fifteen years, but BCMA has finally become best practice. As a result, hospitals are realizing a significant reduction in medication errors. Most nurses would not have it any other way. Nor would this patient. Unfortunately, fewer than 10 percent of hospitals use BCMP in their clean rooms. Moreover, less than 5 percent of compounded sterile preparations (CSPs) are made, utilizing bar-code scanning to verify product selections. These three technologies arrived on the scene in the order shown above. However, to discern the greatest safety value each brings to the equation, we must reverse the order. While I would not want a hospital to be without any of these technologies, arguably greater safety benefits are realized from bedside scanning than from ADCs and bar-code- assisted loading. BCMA is a safety net, catching both dispensing and administering errors. No one has preached the bedside bar-code gospel more than I. So it might surprise some that when clients who have not yet implemented either BCMA or BCMP engage me, I will argue that BCMP is their best next step. Whether a hospital has BCMA or not, it still must use IVs. Regardless of how these high-risk medications are being verified at the point of care (eyeballing or scanning), their ingredients must be accurate. Wherever hospitals find themselves on the medication-safety technology journey, I believe they would do well to consider moving BCMP to the front of their implementation line. We must not wait another ten or fifteen years before BCMP is widely adopted as best practice. Dragging our feet means lets the clock win. I’m not sure how much longer I have to give myself to this cause, but I’m doing my best to beat the clock on this assignment, which, again, is no game.